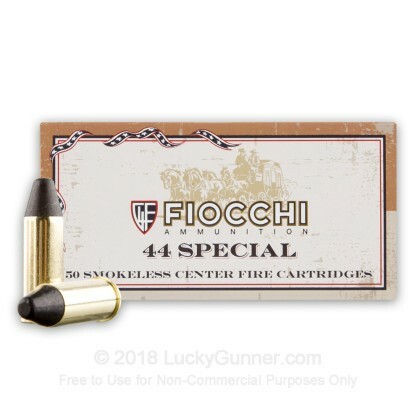 44 Special (44 S&W Special) Cowboy Ammunition by Fiocchi is an excellent choice for your revolver to master your next cowboy action shoot! 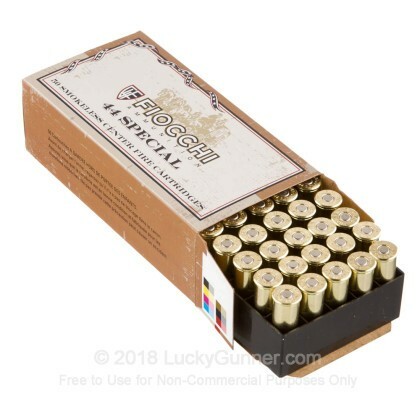 Cowboy ammunition by Fiocchi is designed to provide lower recoil allowing for a quicker succession of shots to improve your score. The slower muzzle velocity of this round results in less recoil allowing you to get off the next shot quicker and more accurately! I put 18 rounds through my S & W Model 629 for comparison with Magtech, Remington & Black Hills. I did not encounter any problems. I was entirely satisfied. 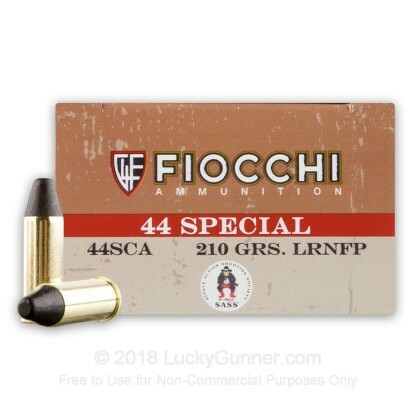 Furthermore, the price of this ammo is among the lowest. I will not hesitate to buy this ammunition from Lucky Gunner in the future. I fired half a box through my new Marlin 1894 rifle today and this ammo was a very pleasant surprise. When I opened the box and checked out the rounds, I found brass "whiskers" on the edges of several of the brass cases that clearly had not been de-burred properly during the manufacturing process. I was not expecting much after seeing that...However, The ammo fired and cycled just fine and the "first shot" accuracy was just excellent and grouping was very tight... Recoil was not unpleasant at all... Just a bit more than the MagTech ammo, and a little less than the Remington Ammo,,,, I'll buy more, but I'll check for brass "whiskers". I have bought several boxes of 44's and never had the first problem with them. You have the fastest shipping and the lowest price I can find on them on the internet or at local stores. 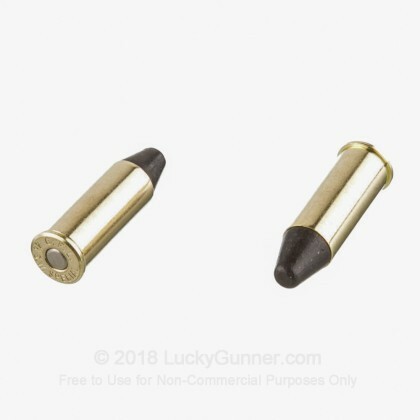 I will always buy my ammo from Lucky Gunner. Thanks so much!!! Too many dud rounds. Two rounds out of every box of fifty failed to fire. 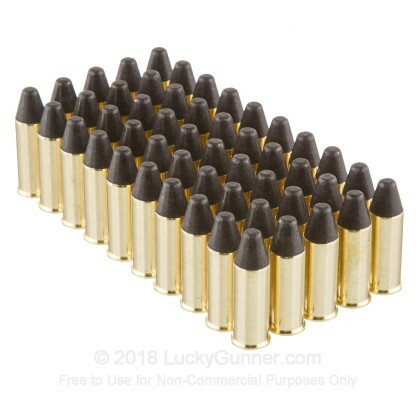 Hard to find cheaper ammo these days. 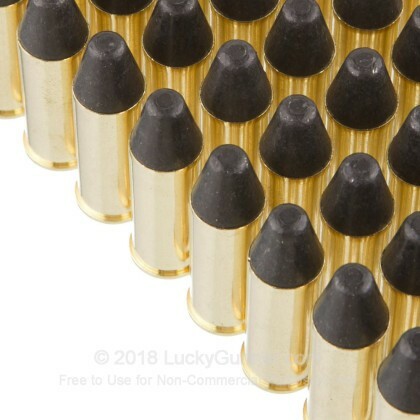 Good quality ammo. My revolver doesn't group factory ammo well (most 44SPL revolvers I've shot prefer hotter loads), but I will reload the cases over and over. With the supply shortages I was glad to purchase when I did. Thanks.